Is something we all hope for, but few ever get a chance to do. MedSend equips qualified healthcare professionals to the mission field, where they serve long-term, living in community to offer care for 1:1 needs, to train indigenous health care providers, and to influence the direction of healthcare of the nations. By giving physical help to people in need, they model the love of Christ that is shown in the Gospels. and we train national healthcare workers to pass on the gift of hope and healing. Quickly mobilize and sustain healthcare professionals to serve internationally and domestically. Remove the greatest barrier for medical professionals to go and serve: educational debt. Enable missionaries to take Christ's love through healthcare to those who haven't heard the Gospel. Empower U.S. healthcare professionals to provide high-quality specialized training to indigenous Christian medical workers. Pave the way for national healthcare workers to become missionaries to their own people. Equip Christian nationals to become the agents of long-term transformation in their countries. "As we walked through the slums with Stephanie and Andrew, I watched them make such a comfortable connection with the people, freely touching and speaking with the slum dwellers. That's love for the lost..."
What is Global Healthcare Transformation? 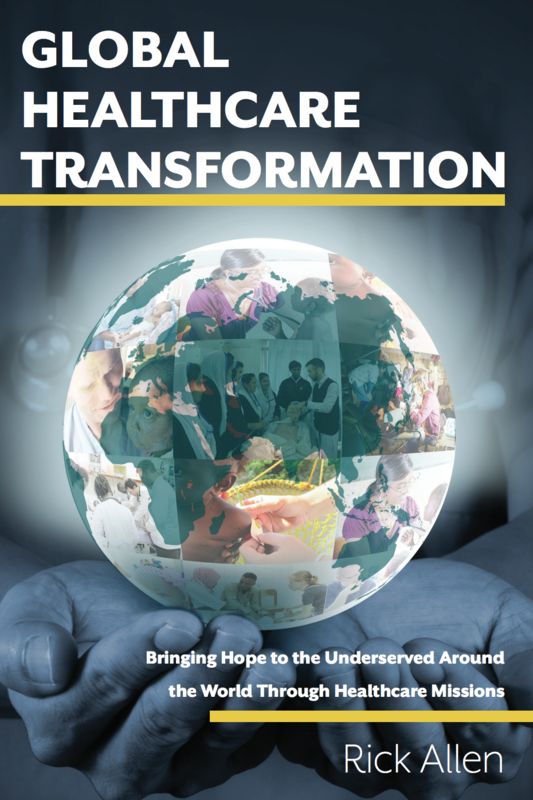 Download our content paper now to see how God is using healthcare missions to bring transformation to the world... and how you can be a part.